From first words to first grade: Our complete library of Baby Signing Time, Potty Time, Signing Time, and TreeSchoolers Science videos enhance early learning and teach important social skills. Automatically get ALL new releases! 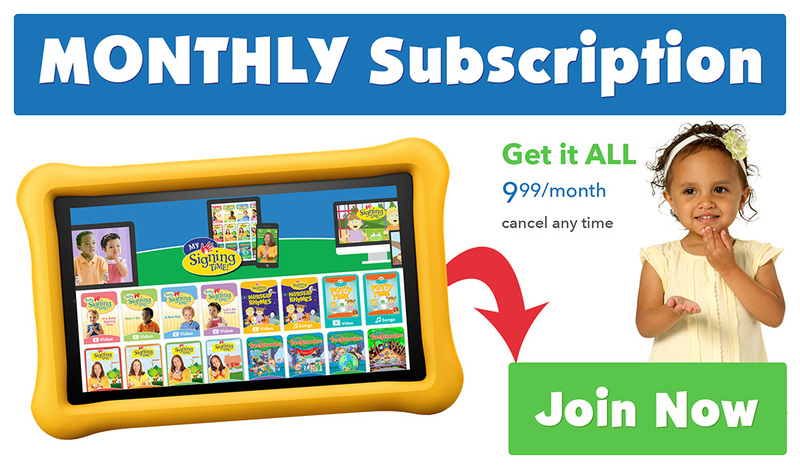 Try the Subscription now and get 14-days FREE! After 14-days your credit card will be charged $9.99 (monthly) or $99.99 (annual – only $8.34 per month). Cancel anytime. Can I keep downloaded videos if I cancel? 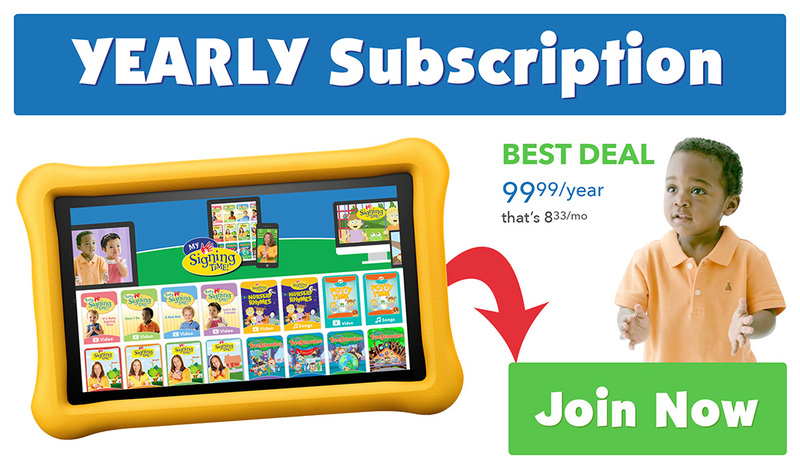 Subscribers get instant access to all the videos, song albums, ebooks, and guides at MySigningTime.com, including those from Signing Time, Baby Signing Time, Potty Time and TreeSchoolers. ALL new releases will be automatically added to your subscription. Your card will be charged every month or every year around the same day you subscribed. For example, if you purchased a monthly subscription on January 15th, your card will be charged every month on or near the 15th. If you purchased an annual subscription on December 15, 2017, your card would be charged again on December 15, 2018. If your card expires or is declined, we’ll notify you by email. You’ll have five days to update your card on file before your subscription becomes inactive. You can reactivate your subscription here at any time. Can I keep my downloaded videos if I cancel? Your subscription products will no longer show in your library once your subscription ends. If you’ve downloaded videos, they will no longer play. However, any products you purchased before or during your subscription will remain in your account whether or not you are subscribed. Your purchased products will always be available to you!